Sumner Accommodation French Style, is a Bed & Breakfast option with a difference. 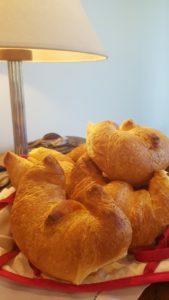 On site managers provide a friendly personalised service, and the discrete comfortable French atmosphere that this bed and breakfast hotel offers, combined with its renown fresh baked croissant breakfasts provides a distinctive starting point for its guests each morning. Guests can relax in Sumner and soak up the coastal/beach resort atmosphere, whatever the season, Summer or Winter while they can also rest easy in the knowledge that this hotel is high on safety and security. Driveway access to carpark at rear of hotel. French Bed & Breakfast – our little Hotel Sumner, boasts a building designed by renowned Christchurch, now Nelson Architect Phillip Kennedy. The seaside hotel presents an attractive design, incorporating the French/Southern France Provincial building style, and one that blends well into the seaside village of Sumner. The hotel’s internal room layout is carefully crafted to provide guests with a relaxing space, and as a suitable base for enjoying the laid-back seaside environment. Our little Hotel Sumner Christchurch provides 6 private hotel rooms, complete with individual en-suites for travellers who want personalised service and hospitality plus a distinctive change from AirBnB shared accommodation, motel units and expensive apartments. Guests can make free use of the french-inspired bistro dinning area during the day & at night, as a lounge for relaxing with fellow travellers & friends. Check out the room images for a possible room preference, and make a direct booking. Essentially, the hotel provides accommodation on the 1st Floor and 3 additional bedrooms on the ground floor. All doors are key card secured and the codes also enable access to the main door leading to the guests accommodation. The accommodation block being privately positioned with access available day or night to guests. The private, boutique, seaside hotel, is located on the main street leading into Sumner village. It provides a fine alternative to Apartment, AirBnB, Motel, and other Christchurch accommodation options. 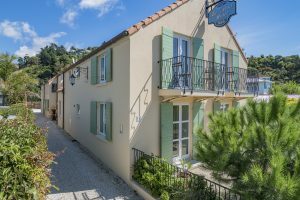 The unique French hotel will provide you with chic, superb quality, bed and breakfast services, affordable for both local travellers and tourists. 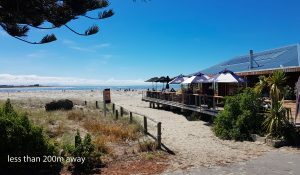 Small in size but big on quality hotel standards, service and hospitality, our little hotel is an all-seasons, seaside bed & breakfast retreat option for Christchurch Accommodation. You are assured of friendly service, your level of privacy, a touch of France, and secure, comfortable lodgings, all at a very reasonable daily tariff. Each morning a complimentary bistro style petit dejeuner (breakfast) is served in the salon, or if you prefer, in season, on the adjacent sheltered hotel terrace. Relax with a late breakfast at our "Petit" Hotel and then later wander across to the Beach Bar. Uniquely positioned, our little Hotel is adjacent to picturesque Clifton, Sumner & Scarborough beaches, and with the bonus of a wide range of excellent Sumner Village restaurants & cafes nearby….just a short 2 mins walk away. Centrally located within the premier seaside suburb of Christchurch, our little Hotel Sumner truly provides unique accommodation with a stylish point of difference. Architecturally designed, in Euro style, our French "Petit-style" Hotel provides 6 private, en-suite, French-styled and furnished bedrooms, individual balconies with sea views on the 1st Floor or terrace areas on the ground floor. European comfort is assured: cool in Sumner and warm in winter, complete with shuttered French doors and windows. All guest rooms in this Christchurch accommodation are carpeted, double glazed, and include tiled en-suites plus in-room tea & coffee facilities. Chilly nights are no match for the hotel’s centrally heated water radiators. Our Hotel being one of the new Tech Friendly Hotels, WiFi and LAN cable broadband internet access is available throughout the hotel at no extra charge, while IP phones, TV and Bluetooth speakers are standard room facilities. Outside of the hotel’s bistro dining salon hours, guests can relax in the common lounge area on the ground floor, and on the sheltered private western hotel terrace. The hotel also features high security French Canadian RFID locks and guests are issued a unique card key for their stay. Secure off-street parking is also available and guests will appreciate the option of a 12 midday checkout or later by arrangement. 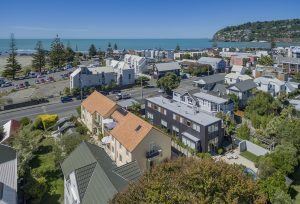 Sumner is just 20 minutes east of the City centre, and is nestled into a sheltered valley screened from the adjacent city suburbs by rugged ancient volcanic hill ridges that descend to the sea shore. The area enjoys a mild micro-climate enhanced by the clean fresh Pacific ocean. Nearby, a large estuarine area, favours several migratory bird species, while also providing ample scope for a variety of water sports including kite boarding, surfing, and sailing. The local topography also offers easy but spectacular coastal, cliff top walks, & mountain bike trails, while in season, paragliding clubs actively operate from the hills that overlook Sumner and its beach. The City’s Metro bus service to Sumner stops outside the French hotel, is frequent, regular, and includes a direct connection to the Airport via the Central City Bus Station. We recommend Super Shuttles as a very reasonable and reliable service to and from Le Petit Hotel, and also as transport to the Tranz Alpine and Coastal Pacific trains. You can relax and let us make the arrangements for you, or try Uber or Ola. 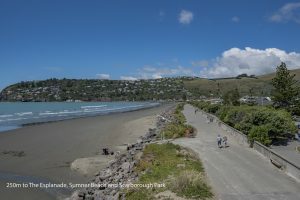 Our Hotel is just across the road from the Sumner beach, and a very short walk to the village facilities, including a supermarket, pharmacy, library, and cinema. The Mt Cavendish Gondola and the Ferrymead golf driving range are also just minutes away by car. If you wish to tour rural Christchurch, the bed & breakfast hotel is the perfect base location for exploring the Port Hills and Peninsula roads. Access from Sumner to Port Lyttelton is via the Heathcote/Ferrymead road tunnel and the route then continues as an attractive scenic drive through Governors Bay, over Gebbies Pass, onto Little River, reaching the original historical French settlement of Akaroa in a little over 75 minutes in total from our Hotel. An alternative route to Lyttelton from Sumner now is via the newly finished Evans Pass Road. Alternatively, from Sumner you can drive north and then seek out the local wineries while on-route to Hanmer Springs and its hot pools experience, or a little further on – whale watching at Kaikoura. Another easy day travel option is to drive or take the Trans-Alpine train to Arthurs Pass, and if you have time, cross the Southern Alps, to Hokitika or Greymouth on the West Coast of the South Island. The return train trip takes a full day, returning to Christchurch around 6pm. 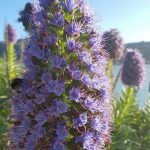 Our Hotel’s French Styled Bed & Breakfast is a unique option for Christchurch accommodation seekers, providing broad appeal, ranging from weary travellers, either arrivals in Christchurch or preparing to depart, first night romantic honeymoon stopovers, small business executive meetings. The hotel’s accommodation can also be block booked for private party or family bookings. Catering support services are available for small functions, mini conferences, small corporate business board meetings and petit weddings.